Stefan Suazo, a freshman from Gretna, LA is running for school board of Jefferson Parish. Stefan Suazo is a textbook over-achiever. A Google search of his name quickly returns an endless list of awards and honors. The high school valedictorian and National Merit scholar earned admittance to Harvard, a full-ride scholarship to Tulane and internships in the New Orleans District Attorney’s Office and the World War II Museum. At Tulane, he has gone on to win an Undergraduate Student Government senatorial election, start an organization to increase student engagement in politics and serve as the president of his dorm. What sets this ambitious freshman apart from the other motivated inhabitants of Wall Residential College, however, is an endeavor Suazo calls “the big, crazy thing.” The 19-year-old Louisiana native is launching his campaign for Jefferson Parish School Board on a teacher-first, student-first platform. Favorite, retweet, and spread the word. We can do this. Suazo is challenging incumbent Republican Tiffany Kuhn who represents District III of the parish. “I’m running as an Independent because getting adequate educational resources for the children of our Parish shouldn’t be a partisan issue,” Suazo said. Suazo hails from Gretna, Louisiana, and is the son of Honduran and German immigrants. “So you know, physical embodiment of the American dream, whatever, no big deal,” he said, with a chuckle. A graduate of Pittman Elementary School, Metairie Academy and Patrick Taylor Science & Technology Academy, Suazo vows to raise teacher pay, hire people from within the county, increase resources for students across the district and make college preparation more accessible. He said he believes that he is the best choice to represent the needs of the students and faculty, especially after being voted Student of the Year by the school board in his senior year of high school. The students and faculty of Jefferson Parish deserve a better future. Let’s give it to them. Spending time at a magnet school in the district helped Suazo realize that resources are not distributed fairly across all Jefferson Parish schools. “The goal should be less about creating these bastions of higher learning that are singular and separate from the rest like a magnet school and more about bringing the rest of the parish up to that standard and bringing every kid those kinds of opportunities because they deserve it,” Suazo said. Right now, Suazo is in the petitioning phase of his campaign. He could either spend $115 to qualify for the November race or raise 100 signatures by July. He intends to “air on the side of democracy,” collecting the signatures door to door and speaking with Jefferson Parish residents. Suazo has also been attending school board meetings and plans to visit every school in the parish to speak with students and administrators. After he raises enough signatures to qualify, he must open a limited liability company to accept campaign contributions, mostly for stickers, signs and car gas. The candidate says he feels confident that he can raise enough money for the campaign and will be using money earned working summers at a uniform store. Since announcing his candidacy, he discovered that a well-funded conservative PAC is trying to discredit him. It mostly focuses on his social media accounts, which he created this year to promote his campaign. Suazo said he is unconcerned and has no skeletons in his closet. 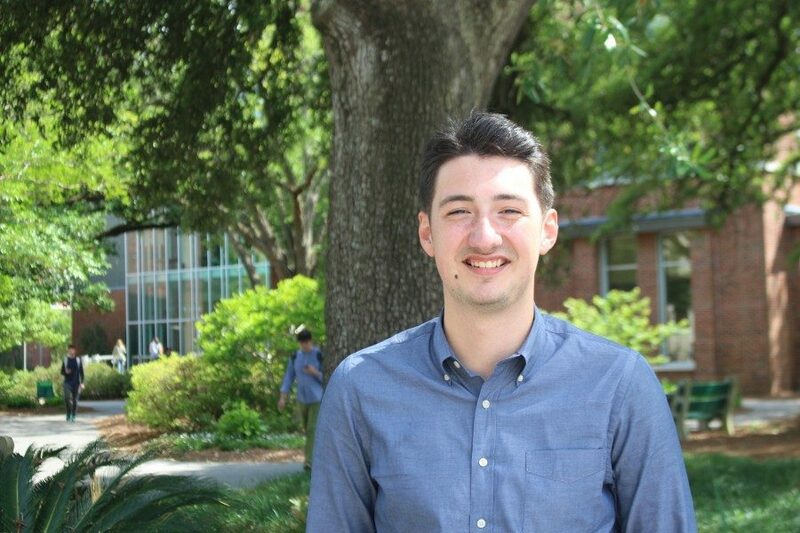 Henry Walther, another freshman living in Wall, will serve as Suazo’s campaign manager. Suazo aims to collect more students and maximize young voices for his campaign. He has already recruited the services of a graphic designer and a web designer to create a logo and website using his Tulane network. “That’s kind of the goal – to put together a team of people like me, people who aren’t veterans to this environment and people who can give a fresh take on what we think this should look like,” Suazo said. Despite the prospect of serving on the school board and fulfilling his academic responsibilities, Suazo said he is eager for the coming months and optimistic about the campaign. I’m proud to see a new face running for the JPPSS school board. New ideas instead of the same old political crud. I’m a Jefferson Parish resident and the parent of a two students in the school system (Gretna #2 and Pat Taylor). I’ve met this remarkable young man and he’s the real deal. Where do I sign? How can I get him my signature? In the “county”? It says Parish in the Title… How long have you been here? Hey Nola Native – The writer is from New Jersey, so he surely styled ‘county’ incorrectly here.